• Thousands of multiplication and subtraction problems. • 40 combined multiplication and division levels. • Multiplication facts 0 - 12. • Division facts 0 -12. • Practice section with an unlimited number of problems and levels of difficulty: easy, medium,and hard. 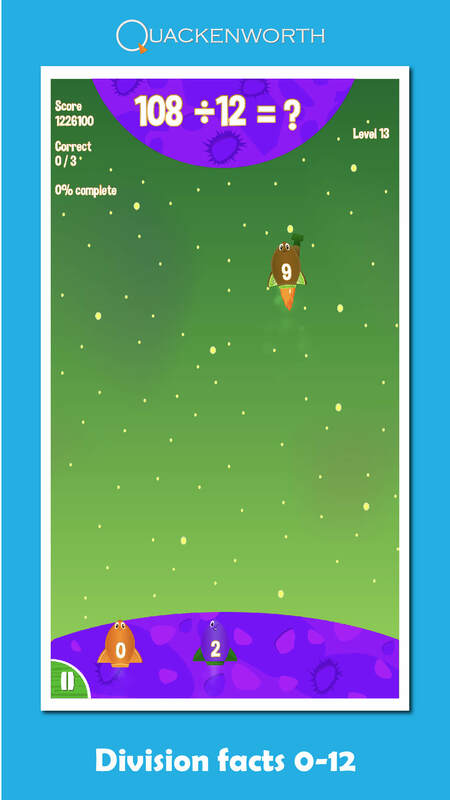 • Earn math awards as you progress through each level. • Engaging characters, animations, and sound effects that keep kids engaged. 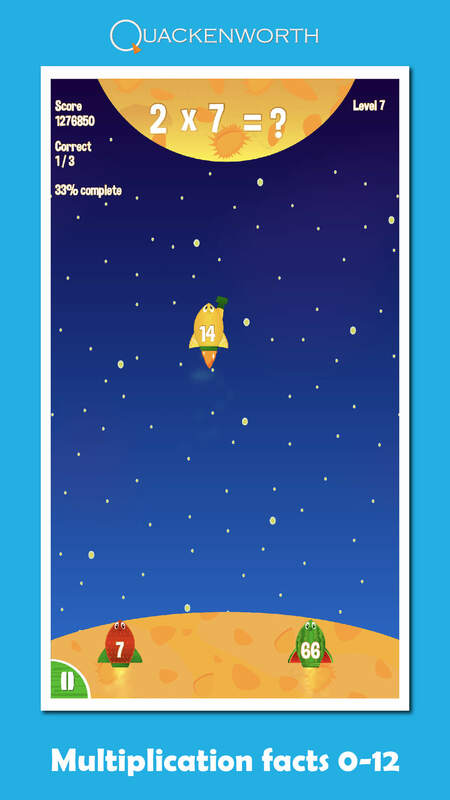 • Improves recognition of multiplication and division facts. • Students who need help with multiplication and division facts. 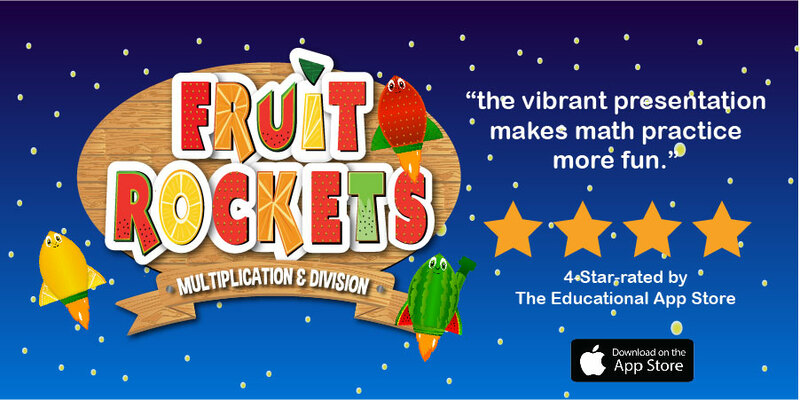 4-star rating by the Educational App Store!
" . . . . the vibrant presentation makes the math practice more fun . . . . Most children can benefit from practicing times tables and the more attractive the experience is made, the better. 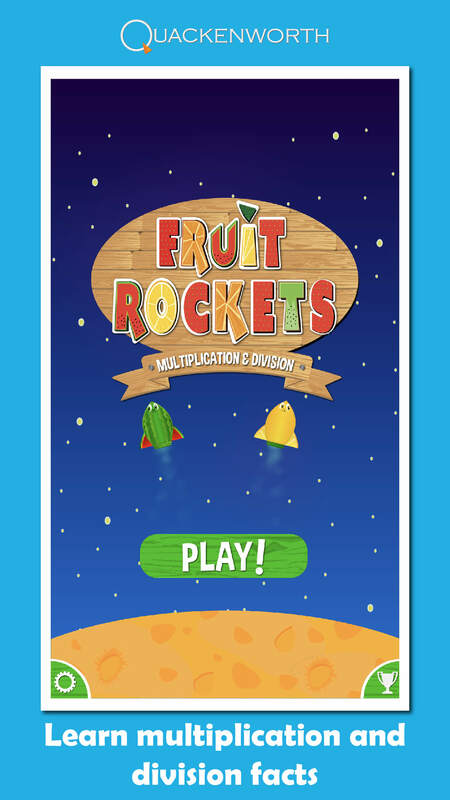 Whether for use in the classroom or at home, Fruit Rockets is a fine app to provide this repeated practice necessary to learn."